Working full time, part time and casually through childcare agencies in early learning centres, nannying and babysitting agencies for over 10 years. I have baby sat all ages from 6 weeks to 14 years and I am comfortable with all. "Kelly has been outstanding twice for us now. I very rarely do reviews but I'll make an exception for Kelly." "Highly recommended and kids enjoyed having her around. Have used again and very punctual. Good communication. " "Kelly was fantastic, I felt very comfortable leaving her with my 3yo and 10mth old (who together can be quite the handful at times!) I would definitely use her again and would highly recommend her to other parents. " "Kelly was friendly and professional. The kids really enjoyed their time with her. " "Kelly was great with my daughter. Would definitely hire again!" "It was my first time using the service & was very happy with everything, especially Kelly D!! She was great, local, my daughter loved her & I would definitely use her again." "Thank you for sitting for us with such short notice, Kelly! Kelly was amazing. 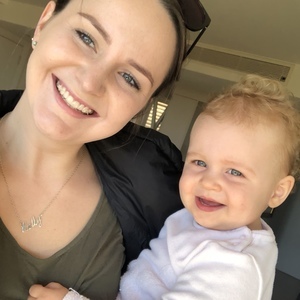 She took great care of our little ones and we would definitely highly recommend her to other families with young kids and would love to have her sit for us in the future. "